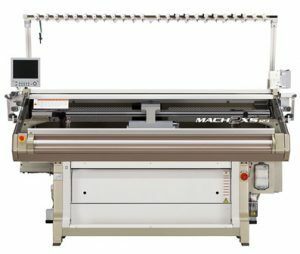 Shima Seiki Mfg., Ltd. will show current technology, as well as its future ambitions, in Shanghai this month at the International Textile Machinery (ITMA ASIA+CITME 2018) exhibition. Recent consumer trends such as increased online shopping activity have changed supply chain requirements in China, with growing interest in on-demand production both in terms of time-compression and mass-customization. The combination of Shima Seiki’s pioneering WholeGarment knitting technology that allows a garment to be produced in its entirety without the need for linking or sewing afterward, along with the SDS-ONE APEX3 3D design system yields revolutionary game-changing flexibility in the knit supply chain to support such trends. Taking center stage therefore at the exhibition will be the company’s SDS-ONE APEX3 3D design system. At the core of Shima Seiki’s “Total Fashion System” concept, ultra-realistic simulation capability on APEX3 allows virtual sampling to minimize the impact that the sample-making process has on current manufacturing in terms of time and cost. With this new manufacturing model, the production cycle can be shortened to such an extent that on-demand production is possible without being limited to seasonal cycles. This allows the product planning stage to be extended to allow more accurate analysis of consumer demand. Moreover, virtual samples can be used at the retail level to gauge consumer acceptance of upcoming products, data for which can be used for forecasting demand. Further details will be revealed through Shima Seiki’s main demonstration at its booth. Representing the production aspect of the Total Fashion System at ITMA ASIA+CITME 2018 are four computerized flat knitting machines, each with distinct solutions to current and future needs of the Chinese and Asian markets. 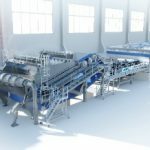 WholeGarment knitting technology will be represented by three machines, each with its own unique capabilities. Featuring Shima Seiki’s original SlideNeedle on four needle beds as well as the patented spring-type sinker system, the MACH2XS offers great flexibility for knitting beautiful and sophisticated, high-quality WholeGarment products in all needles, with a seemingly endless variety of knit patterns at very high speed and efficiency. The MACH2XS will be shown in 15L. 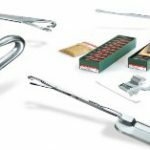 The MACH2S is a versatile V-bed machine that supports production ranging from conventional shaped knitting in all needles to WholeGarment knitting using every other needle. The MACH2S will be shown in 8G for coarse gauge applications. 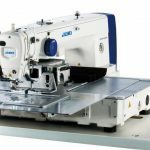 The SWG061N2 compact WholeGarment knitting machine is capable of producing a wide variety of knit accessory items for fashion as well as technical textile applications. The “Mini” WholeGarment machine will be producing novel 3D shoes in 15G at the exhibition. 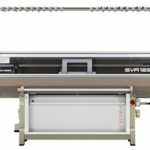 For more conventional solutions, the Shima Seiki SVR series resets the industry benchmark for shaped knitting, with the SVR123SP featuring a special loop presser bed that can produce hybrid inlay fabrics with both knit and weave characteristics. Demands for such unique fabrics are very high across a wide range of applications, from fashion apparel to sports and medical applications, as well as wearable technology and technical textiles. At the exhibition, the SVR123SP will displayed in 14G, and will feature the i-Plating option for expanded capability in inverse plating technique whereby complex jacquard-like patterns can be knit in plain jersey stitch.